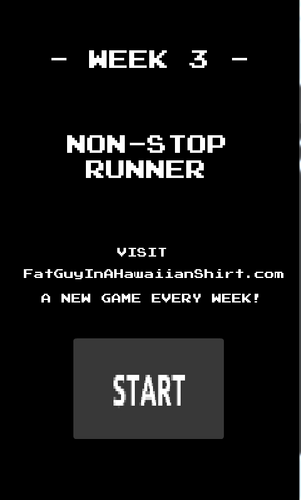 This game is part of a 1GameAWeek Challenge in which I will be producing one game every week and releasing it by Midnight EST on Sunday. 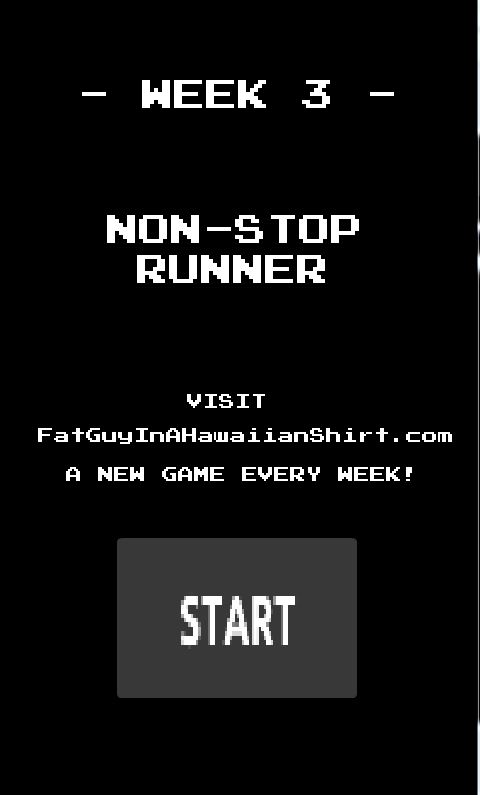 Week 3 is Non-Stop Runner! 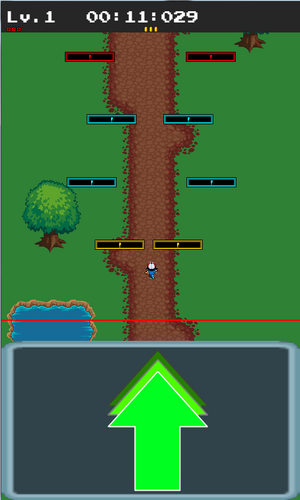 Press the Arrow Button to speed up and avoid the Line of Death while navigating obstacles in your path. 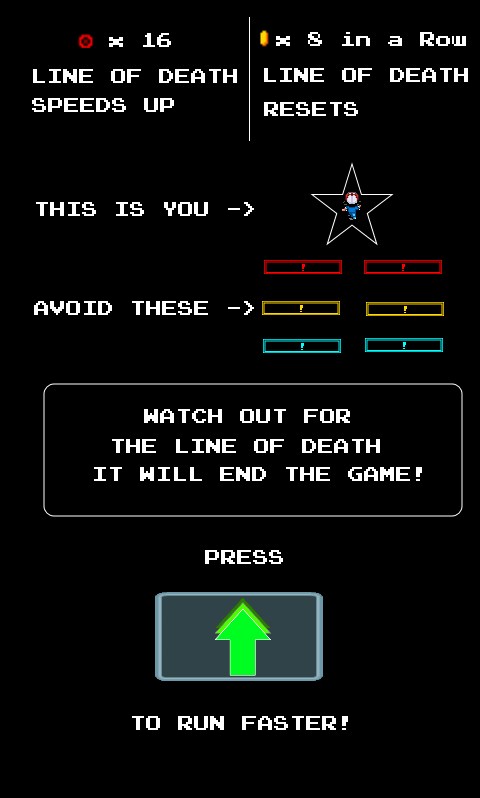 Every 16 obstacles passed will Level Up the Line of Death and make it faster. 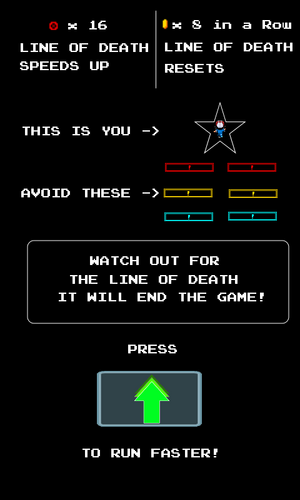 Every 8 obstacles consecutively passed without getting hit will Reset the Line of Death.